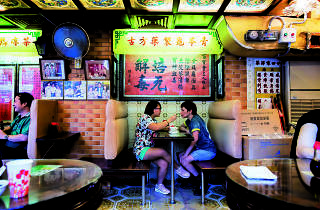 "When you walk into a home in Hong Kong, there are always pictures of families on the walls. But that never happens here with queer couples"
We llive in a city with stories everywhere we look – and even in places we don’t. It’s this quality that makes our town the perfect creative canvas. And Hong Kong-born, New York-based photographer Ka-man Tse is just one artist who has found inspiration on our streets. Her new exhibition, Narrow Distances, is a series of powerful photographic portraits – all shot on a view camera – showcasing our city’s queer stories with subjects ranging from young couples to drag queens, from bankers to writers. Walking into the exhibition at Jockey Club Creative Arts Centre’s Lumenvisum feels like entering the living room of a doting relative, portraits lining the walls. This is no accident. 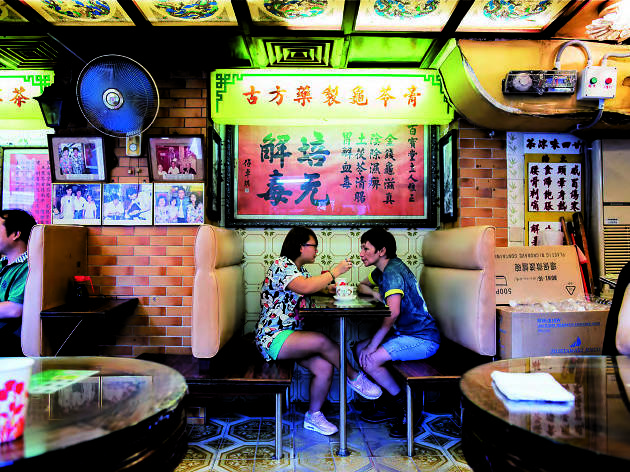 “When you walk into someone’s home in Hong Kong,” says Tse, “there are always pictures on the walls of their families, wedding celebrations and multiple generations. But that never happens with queer couples in Hong Kong. They’re never on the wall.” Tse’s works are thus about more than her subjects. They’re about possibilities.